I have been a huge fan of Chris Priestley's writing ever since I first read his Uncle Montague's Tales of Terror anthology of short stories back in 2007. 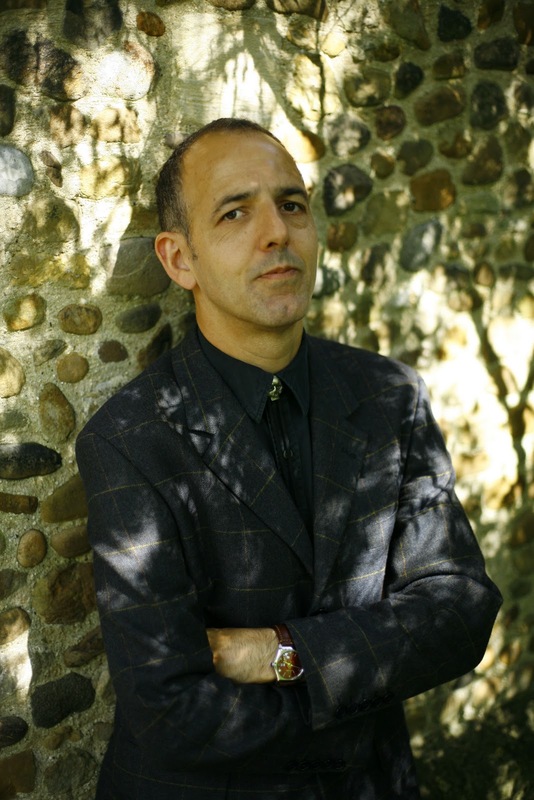 Since then he has gone on to write a further two volumes, as well as the brilliant The Dead of Winter, his first horror novel for young people. I was therefore really chuffed when Ian Lamb at Bloomsbury asked if I would be interested hosting a Q&A with Chris as the first stop-off in his blog tour, taking place to promote the re-issue of the three Tales of Terror books in paperback, with their fab, atmospheric new covers. Each of these new editions also comes with an additional bonus story that did not appear in the original volumes. 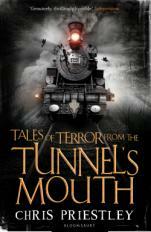 How would you describe your Tales of Terror collections to potential readers? 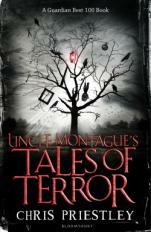 The Tales of Terror series are collections of short creepy tales, but they are told by a different storyteller in each book. During the course of each of the books we learn about the storyteller and about the listeners. Each of the books is set in past – in the Victorian and Edwardian era that is the setting for so many classic English ghost stories. 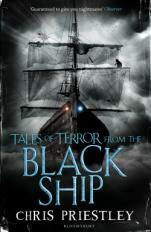 What was the original inspiration behind these terrifying tales? There were lots of different inspirations, but more than anything they came out of my love for short uncanny fiction – ghost stores, weird tales, sci-fi, horror. I wondered if I could write psychological chillers for a young readership. I wanted to see if kids today would like the kind of stories I liked when I was thirteen or fourteen or so. You’ve added bonus stories to the back of each of the Tales of Terror that bring all three books together, were these difficult to write? It was actually a lot of fun to return to those books and those characters after writing a couple of novels. I am really pleased with the way the stories have worked out. I was determined that we shouldn’t just tack a story onto the end. I wanted the books to be better for the addition, and I think they are. The new sections link the books together in a way that did not happen before. The Tales of Terror series is written in a wonderfully Victorian gothic voice, was there any inspiration behind the tone? It is not something I really had to sit down and manufacture. I was very deliberately setting the stories in the world of Victorian and Edwardian ghost stories – as though I was borrowing the sets and costumes from those classic tales – and the voice just came very naturally from that decision. Which books/authors did you read as a child/teenager. How do you think they compare to the children’s/YA books available today? I read lots of things. I read a lot of American comics for one thing. Like most children in the 60s and 70s I would drag home lots of books from the school library and local library, whilst owning very few myself. I read a lot of historical fiction: Rosemary Sutcliff, Henry Treece. There was not so much teen fiction when I was that age, so we tended to move on to shorter adult fiction and for that often meant sci-fi and horror. I really enjoyed John Wyndham – his short stories as well as his novels. H G Wells too. I read all the Conan books of Robert E Howard too. I loved those. Sci-fi writers like Robert Heinlein and Ray Bradbury featured a lot. And of course I was making my first contact through school with great writers like William Golding. Few writers write about evil and darkness as well as Golding does. Do you see Uncle Montague as a creepy character? Did you have fun creating him and is he based on anyone you know? Uncle Montague gets his name from M R James – Montague Rhodes James – but as I wrote about him I had those greats of horror movies in mind; people like Peter Cushing, Vincent Price, John Carradine and Boris Karloff. Roald Dahl was in there too, I suppose, with his introductions to his Tales of the Unexpected television programmes. You clearly enjoying giving people a scare. Have there ever been any books or short stories that have scared you? Of course! And they are not always what could be described as ‘horror’. Cormac McCarthy’s The Road is terrifying for instance. The best of Edgar Allan Poe is very sleep-disturbing. Richard Matheson’s I Am Legend is a very scary book. And there are countless creepy short stories that I think are effective. W W Jacobs’ The Monkey’s Paw is a particular favourite. Most great writers have had a stab at a creepy story – many of them superb. Henry James’ The Turn of the Screw comes to mind, as does Dickens’ The Signalman. And I have just discovered Robert Aickman. He is seriously creepy. I was lucky enough to hear Jeremy Dyson reading Aickman’s ‘The Inner Room’ at the Halifax Ghost Story Festival last October. Yes. It is weird. But writing is a weird occupation whatever you write. One of the strongest impulses for me to try and get published was that I kept thinking how weird it was to be keeping notebooks full of stories when I was not (then) a published writer. How does writing short stories compare to writing a novel? They are very different. Probably the main difference concerns the development of the characters. The canvas for a novel is just much bigger and it needs more than one clever idea to carry the reader through its pages. In a short story there simply is not time to get inside a character in the way you can and should in a novel. It is what some people find frustrating about short fiction. But I like – both as a writer and a reader – the way that you jump straight into (and out of) the action with a short story. I like the discipline that entails. A good short story is a thing of beauty. Your next book, Mister Creecher is a twist on the Frankenstein story. Could you tell us a little bit more about it and your inspiration behind it? Ever since I read the book in my teens, I was fascinated by the fact that Frankenstein, his friend Clerval and the creature all come to Britain, going on a tour through London and Oxford, up into the Lakes and eventually to Scotland and the Orkney Islands (where Frankenstein will build – and then destroy – a mate for his creation). Mary Shelley whizzes through this journey in a few paragraphs, but I to wanted to zoom in on the potential of having that huge, angry, vengeful monster loose in the England of 1818. Mister Creecher imagines a meeting between Frankenstein’s creature and a young street thief in Regency London and charts the strange and dangerous bond that develops between them as they leave London and head north. I would just like to say that I hope you have enjoyed my books if you’ve read them and that you will enjoy Mister Creecher when it comes out in October. Thanks to The Book Zone for the opportunity to share my thoughts with you. And whatever your taste in books, please, please, please support your local library. Huge thanks to Chris for taking the time to answer these questions. I am really looking forward to reading Mister Creecher when it is released later this year, but in the meantime I still love re-reading the Tales of Terror every now and again. You can find out where Chris is stopping off next on his blog tour on the banner at the right of this blog. Well done and thank you to all of you who entered. I will now endeavour to contact the winner through by email. Please reply within 48 hours or I will draw another name out of the hat. Many thanks to Orchard Books for providing the prizes. Since pre-history, the living dead have been among us, with documented outbreaks from ancient Babylon and Rome right up to the present day. But what if we were to suffer a zombie apocalypse in the UK today? 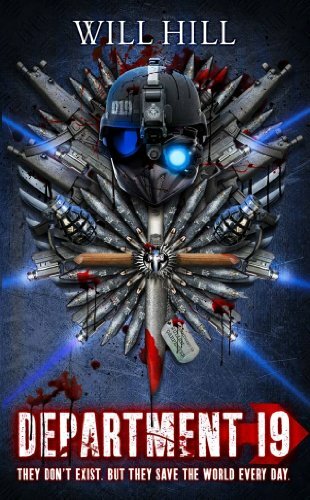 · Detailed case studies and guidelines on how to battle the living dead, which weapons to use, where to hide out and how to survive in a country dominated by millions of bloodthirsty zombies. Packed with invaluable information, the genesis of this handbook was the realisation that our country is sleep walking towards a catastrophe - that is the day when an outbreak of zombies will reach critical mass and turn our green and pleasant land into a grey and shambling wasteland. Remember, don't become a cheap meat snack for the zombies! I love zombie films. I also love zombie books, and there are many of these around at the moment as zombies seem to be the in thing in YA literature right now. I also know many boys at school who have seen and loved the likes of Shaun of the Dead, Zombieland, The Walking Dead, and a smaller handful who have seen some of the classics of the genre, even though technically they are too young to have done so (do any parents pay attention to movie certification these days?). And yet can I get these reluctant readers to read a zombie fiction book? At a push, I have managed to convert a small number of them to the joys of reading Charlie Higson's The Enemy books, although many are a little daunted by the number of pages, but that's where it ends. So, armed with the knowledge that many reluctant reader boys can be sucked in by non-fiction I am going to give this book a try next term: The Official Zombie Handbook (UK) by Sean T. Page. Sean contacted me out of the blue a while back asking if I would be interested in reviewing a copy of his book. He explained that although when writing it he had been aiming it at an older audience, when he was out signing books a significant proportion of buyers were much younger than this. This doesn't surprise me at all, as even when struggling with fiction boys will often happily pick up a non-fiction book, happy in the knowledge that they can dip in and out of it at their leisure, often picking pages at random, and not have to worry about picking up a plot line later on. I have seen a number of these books in book shops or online stores, but having flicked through them I found many of them to be very US-centric. Sean Page's book differs from the norm in that it is very much UK focused and therefore British readers will find it very easy to relate to the advice given. And this book is full of advice - in simplest terms it is a survival manual for what you should do should the zombie apocalypse ever occur in modern day Britain. An implausible concept? With all the advances in modern medicine and biological warfare I am not so sure - perhaps it is only a matter of days/weeks/months/years before we wake up to find the walking dead roaming our streets. And if that does happen, thanks to this book our young people could be the most prepared to survive it. 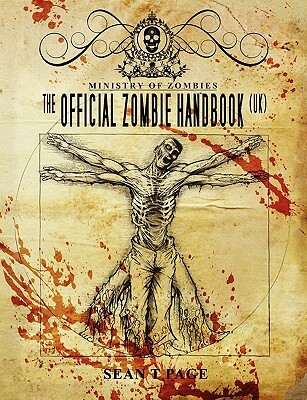 The Official Zombie Handbook (UK) is chock full of information on how to survive a zombie apocalypse in the UK, including establishing a 90 day zombie survival plan, the best modes of transport to use, the best places to hole up in order to survive, the best melee weapons, and so on. It is a very text heavy book with a small handful of simple black and white illustrations so I doubt many boys will want to read it cover to cover, but I am sure they will love dipping in and out. They will also enjoy reading the details of previous outbreaks that have occurred throughout history, and the What If...? case studies that demonstrate how the authorities might react should an outbreak occur at a major British port or airport. My thanks go to the author for sending me a copy to review. Sean also very kindly sent an extra signed copy which I will be giving away as a prize on a contest sometime in the next few weeks. 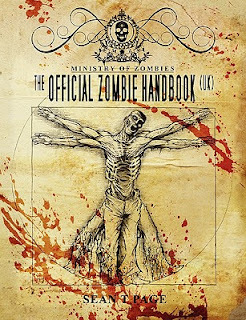 The Official Zombie Handbook (UK) is published by Severed Press. August 1611. Jack Fletcher is shipwrecked off the coast of Japan, his beloved father and the crew lie slaughtered by ninja pirates. Rescued by the legendary sword master Masamoto Takeshi, Jack's only hope is to become a samurai warrior. And so his training begins. But life at the samurai school is a constant fight for survival. Even with his friend Akiko by his side, Jack is singled out by bullies and treated as an outcast. With courage in his heart and his sword held high, can Jack prove himself and face his deadliest rival yet? I always find it a little embarrassing when a publisher emails me asking if I would like a copy of the latest book in the series, and I have to reply with the confession that I have not yet read any of the previous books. This happened last week, and the book on offer was The Ring of Water, the fifth book in Chris Bradford's Young Samurai series. Why have I not yet read any of them? I have no idea, especially as we have them in the school library, I know they are incredibly popular with boys, and they contain martial arts. But thanks to the generosity of Puffin I have now started to remedy that situation, and one book in I am totally hooked and mentally kicking myself for not having picked these up earlier. In case you are like me and you are yet to discover the joys of reading this series, the first book, The Way of the Warrior, is set in 1611 and follows the story of Jack Fletcher, a twelve year old boy who has been at sea for the past two years. His father is a skilled marine navigator and is the pilot of a ship that is trying to make its way to Japan on a trading mission, and as such be the first English vessel to reach these islands. Without giving too much away, Jack soon finds himself shipwrecked, orphaned and eventually waking up in a strange building, surrounded by strange people. Before too long he discovers that his saviour is none other than legendary samurai Masamoto, who takes him on as his adopted son. With the help of a small handful of friends he manages to learn much of their language, and some of their rules of etiquette, but he is still very much a fish out of water. Ring any bells? However, I'm not at all criticising the book for this, as this now common basic plot is perfect for engaging young readers as they are able to associate with much that is put in front of our protagonist. Most 10+ readers can imagine what it is like to start a new school; most will be able to share his fear at losing his father; most will wonder how they would react when faced with bullies, tough teachers, and so on. And this is the sort of thing that will have them identifying closely with Jack and turning the pages to find out what happens to him next. What makes this book stand out from other with similar storylines is its 17th Century Japanese setting, and the huge amounts of research that Chris Bradford must have carried out in order to write it. Yes, it helps that Chris has a background in martial arts, having practised one or other of them since the age of seven, and currently holds a black belt in Kyo Shin taijutsu, the secret fighting art of the ninja. This first hand experience no doubt came in very useful when writing the many action scenes, all of which are rich with detail whilst also being very easy to follow. 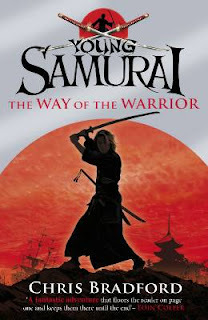 With just the good plot and the great fight scenes this book would be a good read, but what makes it a great read is the way the author explains the complex nature of Japanese culture without it ever feeling like a lecture. The phrase "stranger in a strange land" is surely rarely as apt as it is in describing Jack's situation - a working class English lad suddenly thrown into a culture where even a glance at the wrong person at the wrong time could find someone with their head being taken off by an insulted samurai with a razor sharp sword. As readers we follow Jack's cultural journey step by step, always learning with him, safe in the knowledge that like Jack we too are learning from someone with a great knowledge of Japanese culture. Some struggling readers may find elements of this book a little tricky to follow. Chris Bradford never patronises his audience, and as such his writing includes many Japanese words that will be alien to these readers. However, in my opinion the book is all the better for these and they play an essential part in making this book such a rewarding read. As I said, I am now hooked, and I am trying to plan the reading of the rest of this series around the other books on my ever-tottering To Be Read pile. Book five in the series, The Ring of Water, is released on 3rd March, and I hope I will be able to write a review of that one sometime in April. It is half term and so I have a little more time to scour the internet for book news. 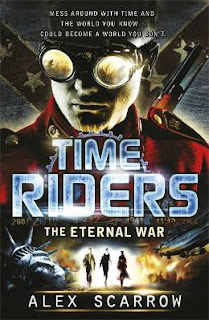 Just a few minutes ago I stumbled across the cover for the next TimeRiders book, due out in August. Until this moment I hadn't even realised that its title had been released, although I did know that it was to be set during the American Civil War. What a storyline! In my opinion this sounds like the most intriguing and exciting to date. And yet again, designer James Fraser has produced a cover that makes me go WOW! 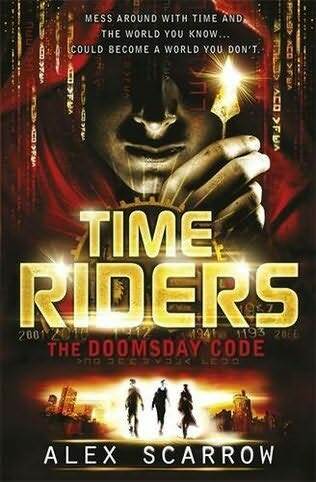 Occasionally publishers have changed the design of the covers of a book mid-series (Percy Jackson and Jimmy Coates are two exmaples that spring to mind) - I really hope this doesn't happen with the TimeRiders books. Earlier this month I posted a review of Robin Hood vs The Plague Undead, the first book in a series of Mash Ups by James Black. Now, thanks to the generous people at Orchard Books I have a five copies to give away to readers of The Book Zone. In order to be in with a chance of winning one of these five copies all you have to do is fill in your details on the form below. The first name drawn at random after the closing date will win a copy of the book. Deadline for entries is 8pm Saturday 26th February. This contest is open to UK residents only. I have been sitting on this review for months, desperately wanting to tell the world about this book. However I very obediently followed the wishes of the people at Harper Collins who so kindly sent me an early proof copy back in October, but now that the March 31 publication date is fast approaching, Operation Department 19 is Go! Go! Go! and I have finally been allowed to unleash this review on the world. I know I'm not the only blogger who has been waiting impatiently to write about this book – back in early October, as proofs were sent out, there was a great deal of buzz about Department 19 on Twitter from other bloggers lucky enough to have received a copy, so much so that I started receiving emails from readers of The Book Zone, asking for more information about it. However, I did not give in to temptation and instead resorted to posting a very short, teaser piece about the book. So was that early buzz justified? Hell yes – every single word of it. It is possibly the best action horror story I have ever read and if managed well I can see a very bright future for it, including movie deals, video games and so on, with a franchise that could rival the megastardom of Resident Evil. I think a minority of authors these days write books with the hope that it will be picked up by a Hollywood movie company who will plough millions of dollars into turning it into a blockbuster release – if ever there was a book that deserved that sort of treatment then it is Department 19, although at no point does it feel as if Will Hill has deliberately set out with this in mind. In fact, very early on in my reading of the book it wasn't so much movie treatment I was thinking, but just how easily the plot, characters, monsters, locations, weapons and vehicles would transfer over to the PS3 or X-Box as a superb First Person Shooter. I'm not sure I need to say much more about the plot than that, but I'm not sure I can hold myself back as months after reading this book I am still excited about it. The basic premise revolves around one simple question: What if Bram Stoker's Dracula had not been a work of fiction? From this one question we find ourselves joining the dots and the only conclusion we can come to is that if it wasn't fiction then the only possible alternative is that his much loved story is in fact an account of a real life battle between good and evil. Sometimes great books are born from such simple questions, and Department 19 is one of these as it follows the assumption that if Dracula was real, then so were Van Helsing, Harker, Holmwood et al. I can just imagine the excitement Will Hill must have felt as his synapses started firing as he answered every subsequent question that arose, making connection after connection and thereby coming up with the idea for the secret branch of the government that is Department 19. What really makes Department 19 something much more than your average action horror is the back story that Will Hill has created. Not content to have his young hero battling all kinds of evil, he makes sure that the reader truly believes in the world he has created. The action occasionally leaps back in time, and as readers we are able to follow the adventures of Van Helsing and gang in the early years of the Department. We also get to find out how Jamie's ancestor, John Carpenter, first met Frankenstein, saved his life, and then the latter making a vow that goes on to be honoured for generations of the Carpenter family. Oh, did I not say that Frankenstein's monster was real as well? Keep up – surely if Dracula was real then Big Frank has to be as well, but this time he is fighting for the good guys. If you trawl back through the Spill The Ink blog you will see photos of some of Will's handwritten notes, showing family trees of his characters, a list of the previous commanding officers of Department 19, a guide to the strengths and weaknesses of vampires, and even a detailed list of authorisation codes for the various members of Department 19. And I am sure that this is just a tiny selection of his notes - the detail the author must have gone in to to ensure that his world seemed real must be hundreds of pages in length, and that's in addition to the research he must have carried out into the various historical aspects of his back story. As well as great back story, Will Hill is also highly skilled at other aspects of the craft of writing. This book has a multitude of great characters, some of whom are not fully fleshed out in this first instalment, but promise to be interesting members of the cast in future stories. Best of all, some of the best characters in the story are the vampires themselves (hey... everyone loves a good villain!). These are certainly not the insipid, vacuous blood suckers that we have had to endure in recent years - Will Hill has drawn on the nastiest examples of these creatures to create his monsters for his inspiration, and in doing so has reclaimed the vampire from the girly, fawning Twilight brigade.These monsters are Homicidal (and yes, I meant that with a capital H): think the sheer single-minded evilness of Kurt Barlow from 'Salem's Lot, the ambition of Deacon Frost from Blade, the sadistic bloodlust of Marlow from 30 Days of Night. Nasty, every one of them, and that is what Alexandru, Valentin and their various minions are like. However just as all these vampires from the annals of horror are very different characters, so too are Will Hill's creations, each with their own personality traits and motivations. Mr Hill also knows how to write action scenes that leave the reader breathless; over the years I have read many action thrillers, both for kids and adults, and Will Hill's writing of the all-important fight and chase scenes is up there with the best of them. Of course, many of these scenes involve Jamie, Frank et al battling against the evil vampiric hordes, but thanks to the imagination of the author they have a lot more than wooden stakes in their armoury. These vampire hunters are like the British SAS, US Navy SEALs and the Israeli Sayeret Matkal all rolled into one, and they come armed to the teeth with UV cannons, MP5 machine guns, armoured vehicles and best of all, the T-18 pneumatic launcher, aka the T-Bone. One squeeze on the trigger of this marvel of ingenuity and a metal stake explodes from its barrel, with devastating effect for any vampire that just happens to be in its line of fire. But that's not all: said stake has a trailing wire attached to it, which then pulls the stake back into the barrel, and it is reloaded and ready to fire all over again. Genius! How I would love to see Edward Cullen on the receiving end of this weapon. On top of all this the dialogue that Will Hill writes also flows well throughout the story, and is never intrusive or unrealistic. It fits the characters, and the various time periods in which we see them. And this is his début novel – I imagine there will be many an aspiring author sticking pins in Will Hill voodoo dolls whilst going slowly green with envy. I read an early review of Department 19 recently, written by someone as part of the Amazon Vine programme. Said reviewer, at the end of an otherwise cracking review, questioned whether Will Hill's treatment of Stoker and Shelley in their respective flashback scenes showed disrespect to these two authors. Another reviewer questioned the credibility of some of the plot. I think these reviewers take themselves a little too seriously, obviously know little about teen fiction and need to carefully remove the self-righteous rods from their proverbials. To the first I would ask how can an author who has written a book that treats the creations of these two authors with such reverence be accused of disrespecting their characters? I would not be surprised if many kids who have not yet discovered the joys of Dracula and Frankenstein will actually be encouraged to pick up these books for the first time following a reading of Department 19. And to reviewer number two I would proclaim that teen boys (and many, many girls) are going to totally love this book – they won't care about 100% credibility when there is such an exciting, fast-paced, well-written story to hold their attention. At what age did this reviewer lose the ability to suspend disbelief and enjoy a full-on action adventure story for what it is? Department 19 is the first book in a series, but unlike many books like this it does bring the main plot of the story to something of a natural conclusion. However, Will Hill very cleverly tacks on a couple of epilogues that have the reader salivating even more for a sequel as he teases us with a couple of very short scenes that in just a few pages set us up for some very exciting plot developments that no doubt will appear in the sequel. I have no idea how many books are planned in this series at the moment, but I am more than happy to keep on reading them for years to come if they are as good as Department 19. Back in November some bloggers got a little carried away on Twitter by proclaiming Department 19 to be the next Harry Potter. If I'm brutally honest I cannot agree with this as the secret behind Harry Potter's success was its cross-generational appeal, and it was only in the later books in the series that the plot started to get a lot darker and less kid-friendly, but by then everyone was already hooked. Department 19 will sadly not achieve this broad spectrum of appeal as it is certainly not suitable for younger kids and may create a few premature heart attacks amongst the blue-rinse brigade – it is after all an action horror story with many a gory moment, and any movie made would certainly not get a PG rating. 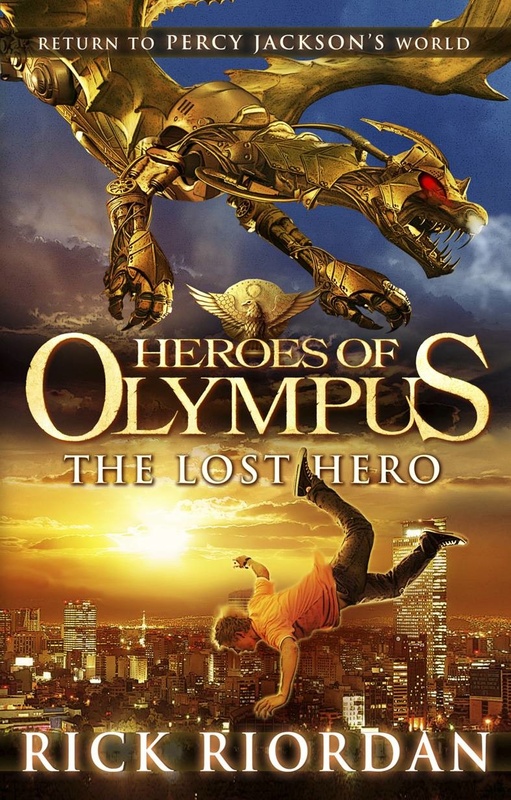 We have also heard many publishers in recent years claiming that this new book or that new book will be the next HP – I remember Chicken House saying something akin to this about the Tunnels series (good, but hardly flying off the shelves HP-style), and I wouldn't be surprised if Rick Riordan's Percy Jackson books were also touted like this at some point. However, in my mind Department 19 is far better than all of these, and in this case I feel the hype is very much deserved. I have already stated that another book will have to be pretty darn special to beat Department 19 to the top spot in my list of Books of the Year for 2011 – I am more than happy to be proven wrong as that would mean yet another outstanding book is on the shelves, helping even more young people to develop an enjoyment of reading for pleasure. Department 19 is published by Harper Collins in the UK and is due to be published on 31st March, although I wouldn't be surprised if it started to appear in stores before this date. On the same date it is scheduled to be published by Razorbill in the USA. There are promo videos online for both editions, I have popped them both at the end of this post - I'll leave it to you to decide which one you prefer. Well done and thank you to all of you who entered. I will now endeavour to contact the winner through by email. Please reply within 48 hours or I will draw another name out of the hat. Many thanks to Just So for Puffin Books for providing the prize. Barry Hutchison tweeted a teaser image of the cover for his next Invisible Fiends book some time ago, but he has now revealed the full finished cover and I thought it so good I just had to share it with you. I think this has now become my favourite of the series so far, which is saying something as the Raggy Maggie cover was one of my picks of 2010. Yet again, illustrator Jonny Duddle has outdone himself. Due out at the beginning of August, Barry says that Doc Mortis is his scariest book to date. Brilliant! I am a huge, huge fan of Chris Priestley's Tales of Terror books and so when I was asked if I would be interested in hosting Chris as part of a blog tour to promote the reprinting of these fab books I immediately said yes. As you can see from the images above, the books are being relaunched with these brilliant new cover designs. 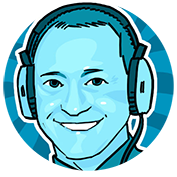 Chris will be visiting the Book Zone and four other blogs as part of the tour - you can see all the details at the end of this post. To kick off the tour Chris will be taking part in a Q&A for us here on the 28th February, and thanks to the generosity of Bloomsbury I will also be running a contest where you could win one of several sets of these new editions. It is no secret that I loved the first two book in Alex Scarrow's TimeRiders series. As a long time fan of alternate history stories, and What If....? speculative writing, I thought that he did a great job of delivering these concepts to an 11+ audience. As I picked up the third book in the series though I felt a small degree of nervousness - would it be as good as the previous two? Would I feel obliged to like it and write a good review for it? If I didn't like it, would I be able to get away with not writing a review at all? I often feel this way when picking up a 'third book in series' or trilogy that I have so far loved, but this sense of mild trepidation was heightened a little more than usual as in my review of TimeRiders: Day of the Predator, I stated "I can honestly say that I have not been this excited about a series for a long time." It was with no small amount of relief then that having started reading it before going to bed I looked at the clock to discover it was suddenly very late and I was 150 pages into the book. I had been pulled head first into the story and I am happy to say that it is easily as good as the previous two books, and probably the best in the series so far. The Doomsday Code starts with a very minor time shift back in 2001, just a film that shouldn't exist being advertised outside a New York cinema. A quick spot of research leads to Maddy and Becks making a quick journey back to 1994 Norwich, but this journey sets in motion a chain of events that sees Liam and the genetically engineered Bob and Becks travelling back in time to 1194, but unlike previous books they are not entirely sure what their ultimate objective is this time. You will have to bear with me as I try to explain, as this is the most complicated plot to date in this series, and I need to be careful not to give away any spoilers. In their journey to Norwich, Maddy meets computer hacker Adam Lewis, a techie who found, somewhat impossibly, his name hidden in a code manuscript dating back to the 12th Century, a manuscript that no-one else has ever managed to decode. Maddy inadvertently leaves behind a clue to her 2001 origins, and Adam spends the next seven years of his life ensuring that he is in the right place, at the right time to meet Maddy again. However, because of the secrets that Maddy discovered in the previous books the team instead feel that the document may actually contain a message from another TimeRiders team and feel that there is no other option but to send someone back to 1194 to investigate. What then follows is an adventure that involves the legend of Robin Hood, Richard the Lionheart, his younger brother Prince John and the quest for The Holy Grail. As in the previous books, even the slightest deviation from the true historical timeline has significant consequences for the future, although this time around the lives of Maddy and Sal are not put in quite so much jeopardy. See.... I told you it was complicated, and yet Alex Scarrow seemingly carries it off with ease. I can't imagine the hours/days/months that must have gone in to plotting a story like this, let alone one that is planned to span across nine books, and Alex Scarrow's editor must spend even more hours checking for inconsistencies, plot holes and other continuity errors. And it is a job they have both done exceedingly well, as I no point did I find myself questioning an action or spot of dialogue that did not add up. However, this is not a book to pick up and read without first having read the first two in the series, or you will find yourself becoming confused very quickly. The characters that the author has created are once again a delight to read. Liam, being the field agent, is already fully developed following his adventures in the previous two books, although this time we begin to see another side of him as he finds himself in an era that he actually likes, and would possibly even consider staying in if given the chance. Maddy is also slowly becoming more fleshed out; as the appointed leader of the group she is privy to a number of secrets that she has kept from the other two, and as such she feels under pressure and often wonders whether she is good enough for the role. Sal is still something of an enigma, and in The Doomsday Code we probably see even less of her than previously, although we do see her starting to resent the fact that Maddy is not telling her the full story. In the interview that Alex Scarrow did for The Book Zone last year he promised that Sal "has a VERY important part to play in the story" so I am really looking forward to that in future books. If you like time travel stories, and demand a high action content in the books you read then this is the series for you. I would like to add though that I am rapidly starting to develop a strong dislike for Alex Scarrow. How dare he end this book on yet another massive cliffhanger! Not the kind of cliffhanger that has the reader fearing for the life of a character, but one that has you questioning a lot that has gone before, and everything that is still to come. And we have to wait until August to find out what happens next, and I am really looking forward to this as it is going to be set during the American Civil War. TimeRiders: The Doomsday Code was released on 3rd February and my thanks go to Puffin for sending me a copy. This is one prize that needs very little in the way of introduction. After all, who hasn't heard of Rick Riordan. Now, thanks to the generous people at Just So for Puffin Books I have a signed copy of The Lost Hero to give away to a reader of The Book Zone. In order to be in with a chance of winning a copy of this book all you have to do is answer the simple question and fill in your details on the form below. The first name drawn at random after the closing date will win a copy of the book. Deadline for entries is 8pm Friday 18th February. This contest is open to UK residents only. Neither Just So or I will not be held responsible for items lost in the mail. There have been some brilliant YA zombie books released in recent years. The first that spring to mind are The Enemy and The Dead, both by Charlie Higson, and the soon-to-be-published Rot and Ruin by Jonathan Maberry (finished this yesterday, watch this space for my review). Zombies seem to be one of the next big things in YA literature and a number of publishers have zombie related releases coming this year (the one I am most intrigued about is Dearly Departed by Lia Habel, described by the lovely people at RHCB as Gone With The Wind vs Dawn of the Dead). Zombies are a great way of engaging boys and grabbing their attention, as we all know that reluctant reader boys love a bit of gore, and Orchard Books, through author James Black, are another publishing house with a new zombie book aimed at just this market. However, Black's book is a little different from others on the market at the moment as it is a Mash Up. The mash up is a concept that has been popular in the adult market for a couple of years now (Pride & Prejudice & Zombies being the obvious example), but it is now making the transfer over to a younger audience, especially as a way of marketing books to boys, and Robin Hood vs The Plague Undead is the first in a planned series of Mash Ups books written by James Black. Yes, you read correctly, I did say Robin Hood, and this book is exactly what is says on the cover - the infamous outlaw of Sherwood Forest battling against a hoard of zombies. Zombie purists may hate it; Robin Hood officianados may hate it even more. But reluctant reader boys of aged 10 and above will probably love it. When reading books for review I sometimes have to remind myself to look at these books from the point of view of a young male reader. As an adult reader I am far more picky about what I enjoy (or not) about a book, whilst an 11 year old who is not particularly fond of reading more may be a little less discerning. I've spent many hours talking to boys like this at school, and when I mention things like characterisation they tend to give me a blank look. But the moment I start talking about action, fights, blood and gore for some reason they become far more animated. If the first chapter is full of action, with a cliffhanger at its end, and the pace of the ensuing story is fast and exciting, then they can so easily be hooked by a book. Personally I felt that Robin Hood vs The Plague Undead ticks all of these boxes, even though I did not enjoy it hugely myself. I think I have been spoiled recently with the quality of Higson's zombie stories and couldn't help but compare them, and this one falls well short of The Enemy and The Dead in all areas. Higson's books are, however, aimed at a slightly older audience, and their greater page count and more complicated themes make them less accessible for struggling readers, whilst James Black's book is a much easier read (unless you're not a gore fan that is). I know it is going to be a hit with certain boys at school. 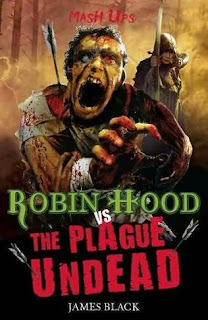 Robin Hood vs The Plague Undead was published on 3rd February and my thanks go to Orchard Books for sending me a copy to review. I have already mentioned that this is the first in a series, with the next book Blackbeard's Pirates vs The Evil Mummies, due to released in July. Got any plans for World Book Day? If not then you had better get a move on as 3rd March is only a few weeks away. We have a few things planned at school, including staff dressing up as fictional characters - I'm still trying to decide what I will be going as. I would love to hear what you have planned. World Book Day seems to be getting bigger and bigger each year, and this year the organisers have launched a new website aimed at 11-19 year olds. This website is called digi-tale and it already has a handful of great competitions on it, where entrants could win an Acer Notebook, a Nintendo DSi XL, or even a Toshiba Folio 100 tablet computer. More information about how to enter can be found here at the digi-tale website. You can also follow them on Twitter and like their Facebook page. 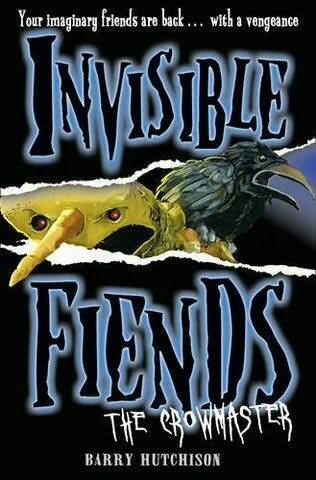 Over the past twelve months Barry Hutchison's Invisible Fiends books have become my favourite horror series for kids. I have loved every one of them so far and on finishing each book I have waited impatiently for the next to be released, knowing that it will be brilliant. Yes, I meant to use the word 'knowing' there, rather than hoping, as by the time I had finished Mr Mumbles I was already convinced that Barry Hutchison had real writing talent, and he hasn't let me down yet. OK, so he might have to be a little sick in the head to come up with the likes of Mr Mumbles, Caddie and Raggy Maggie, but sometimes a warped mind can be a good thing. 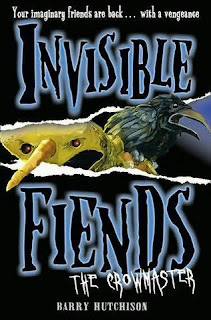 I therefore didn't hesitate to answer a resounding "Yes please" when Tiffany at Harper Collins emailed me asking if I would be interested in taking part in a blog tour to celebrate the release of The Crowmaster, the third book in Barry Hutchison's Invisible Fiends series. I was even more chuffed when Barry said he would happily answer any questions I wanted to send on to him, and so today on The Book Zone we have a double-feature for you - a review of The Crowmaster followed by an interview with the author himself. This book begins with Kyle seemingly being plagued by visions of the Fiends he thought he had managed to destroy. First there is Mr Mumbles in his living room, and then Caddie appears at the end of his bed. Unfortunately due to Kyle's special 'powers' when he imagines seeing these monsters they have a habit of actually materialising physically, and so the only option left for his mother is to send Kyle away to the countryside to stay with her cousin, and hopefully allow him to escape from the terrors of the previous few weeks. I don't think you need me to tell you that things do not go as well as Kyle's mother had planned, although I am not going to expand much on this at all as this would certainly create spoilers. However, there are some truly delicious moments in this story which will have your flesh crawling, and the first of these occurs on Kyle's train journey up to Glasgow, not that Kyle realises at the time that this might have anything to do with the battles he has been fighting recently. Once he arrives at Cousin Marion's place things go rapidly from bad to worse, and as observers we are a few steps ahead of Kyle in piecing together the clues that suggest there are even greater horrors around the corner, right up until the penny drops for him as Marion utters five words that strike terror in Kyle's heart: "He was my imaginary friend". Just as Caddie and Raggy Maggie were very different fiends in comparison with Mr Mumbles, The Crowmaster is different again. Mr M relied on brute force; Caddie brought intelligence and a warped mind to the party; and The Crowmaster.... well his name says it all - he is a master of crows. And he uses this power over the birds to devastating effect, turning them from creepy harbingers of doom into vicious weapons. What's more, he seems to enjoy every single second of it, chuckling away as they tear at his victim's flesh. Still not as psychotic as Caddie in my opinion, but not far off. This book is no sequel in the way horror films have sequels and there is no feeling of "seen it all before" as you often get with franchises such as Friday 13th and Halloween. Barry Hutchison skilfully manages to make this book seem just as fresh and exciting as Kyle's previous two outings. We also see Kyle's character continue to develop as he becomes far more adept at rising to the terrors with which he is bombarded. It is, after all, only a short time since he was a pretty useless and confused boy, jumping at noises in the attic. Now he is starting to take the fight to the Fiends, as his powers continue to increase and become more second nature. This is definitely a welcome addition to the series so far, and I can't wait to read the next book in the series, Doc Mortis, as Barry has suggested that this will be his most terrifying book to date. More chilling than Caddie in Raggy Maggie? Brilliant! 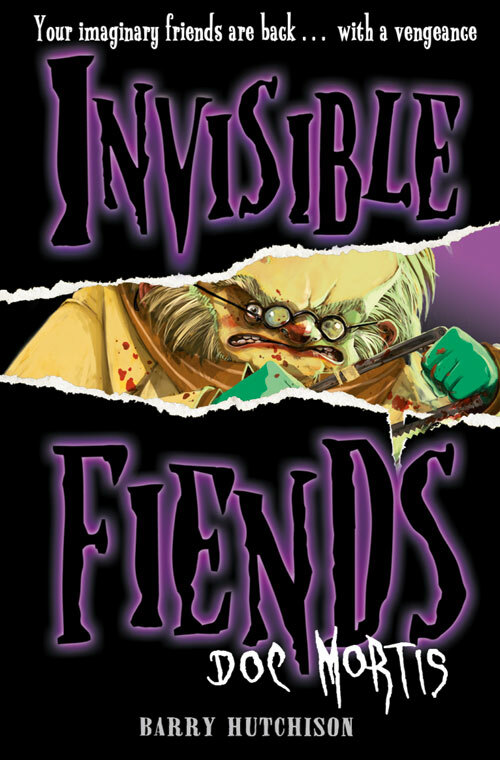 How would you describe your Invisible Fiends series to potential readers? A black-comedy-horror-adventure-fantasy. With buddy movie elements. Obviously. I always wanted it to be funny and scary, rather than just scary, and to delve into a range of genres that I enjoy reading. You could just call them horror books, of course, but (I hope) there’s more to them than that! The inspiration came from a variety of sources, really, but one of the main ones was my sister’s imaginary friend, Caddie (I stole the name for book 2). Caddie, my sister believed, lived inside a narrow air duct in my mum and dad’s house. In order to fit inside, her bones had been broken in several places, and her face was wedged up tight against the metal bars of the vent. The idea of this invisible girl, with her skeleton all snapped, lurking in the bowels of the central heating system really gave me the willies. I first heard about Caddie when I was 12, and the idea of creepy imaginary friends bounced around in my head for almost two decades before I decided to do something about it. The Crowmaster is the third book in the series. Do you know how many books there will be in the series and have you planned them out already? There will be six books in the series and they’ve all been loosely planned out since day one. The prologue from the beginning of each book is actually a direct extract from book six, so I had to plan ahead to figure out where the scene was going to be taking place, who was going to be in it and what was happening. Hopefully by the sixth book anyone who has been following the series will think “So that’s what’s going on!” when they finally reach that scene in the proper context. I think the invisible fiends concept is great. Do you have a favourite ‘fiend’ from those that you have created? ‘Favourite’ is a strong word. I think Caddie/Raggy Maggie win on pure heart-stopping scariness, and the Crowmaster has a sort of repulsive appeal to him. Or is that just me? Bizarrely, I’ve actually grown quite fond of Mr Mumbles in the year since the first book was released. I wrote him as a monster, but in the end I found myself feeling quite sorry for the freaky big psycho. He had a terrible time of it, all things considered. Could you tell us a little more about your latest fiend, The Crowmaster? The Crowmaster is a big, spindly, Redneck scarecrow (very) loosely based on Scarecrow from The Wizard of Oz. He has no eyes, but can see through the eyes of the army of flesh-eating crows over which he has complete command. He’s probably the most twisted of the fiends so far, and takes great delight in the thought of inflicting unimaginable agonies on everyone he meets. The Crowmaster, more than any of the fiends so far, is capable of absolutely anything. He will tear the skin from your flesh and the eyes from your sockets and he’ll laugh as he does it. The charmer that he is. Where did your inspiration for the various invisible friends come from? The first piece of advice I give anyone interested in becoming a writer is to write a story that you would like to read. There’s no point trying to second-guess what other people might like, so you should always write for you and you alone. So, with that in mind, I set about trying to scare the bejeesus out of myself, and based the fiends on things that scared me as a child, and sort of still scare me now a bit. When I was about four I fell and cracked my head open and had to get stitches right across my scalp. I still remember seeing my reflection in the mirror with these stitches puckering the skin on my head, and still feel uncomfortable whenever I think about it. So that’s where Mr Mumbles came from – an unstoppable maniac with his mouth stitched shut. When I was younger, I remember being really creeped out by these porcelain dolls my gran had in her house. She had them all over the place – the bathroom, the kitchen, the living room, wherever you could think of, really. They were horrible things, all fixed grins and painted eyes, and I thought even then how terrifying they would be should they somehow come to life. And lo, Raggy Maggie was born. In book three, The Crowmaster has control over flesh-eating birds. I’ve been a bit wary of birds ever since one got caught in my hair when I was eight or nine, and promptly set about pecking and clawing at my face as it attempted to break free. I’m sure you can figure out the connection. As for the other fiends... well, you’ll just have to wait and see. Jonny Duddle has done a great job on the Invisible Fiends covers. Have you had any input outside of writing the stories? Jonny did a lot of the artwork before second book was even underway, so before he could start I had to write fairly detailed descriptions of the characters for him to work from. I was a fan of Jonny’s work before Fiends, so I knew I was in safe hands, and I never worried that the artwork would be anything less than spectacular. I’ve seen most of the covers for the remaining books, and I can only say that they just get better and better. I can’t wait until I have them all together on my bookshelf. Each cover is a work of art in its own right. Because people – kids especially, but adults, too – enjoy being scared in a safe way. They enjoy the adrenaline rush that comes with a good horror, while also enjoying the fact they’re safe in bed, or on the train, or in school or wherever. It’s a primal thing in many ways, I reckon. When we were hunting Sabre-toothed tigers we must’ve been terrified pretty much every waking moment of the day, and I think that sort of heightened state is good for us, and actually very enjoyable when you don’t have the threat of being eaten alive hanging over your head. Plus, I think screaming in fear is quite closely linked to screaming with laughter. How often have you giggled when you’re nervous, for example? That’s one of the reasons I wanted the books to have humour running through them, so you’re never quite sure if you’re going to get a laugh next, or a scare. I think that keeps the reader more on edge than if they knew something else horrific was lurking on the next page. Do you ever worry that some children may have nightmares after reading your books? God, I hope so. People talk about nightmares as if they’re a bad thing, but they’re really just the ultimate 3D horror movie in which you are the star. I love nightmares, personally. And if a nightmare helps a child learn to deal with scary situations, that’s a skill that can only prove useful in the real world later on. In reality, though, I think kids are actually pretty resilient. I’ve actually had more adults complain of nightmares than kids. There are some pretty brutal scenes in your books. How do you gauge the right level of violence in your writing? Have you ever been asked to rewrite passages because they are too horrific? Actually, it’s not until book three that there’s really all that much in the way of gore. There’s violence in the first two books, yes, but much of the actual horror is implied suspense stuff – the scratching in the attic, the Christmas Hits CD sticking at “You’d better watch out... You’d better watch out...” etc, etc. The scariest chapters of Mr Mumbles are the first few, before he actually arrives. After that it’s mostly action-adventure with horror elements. Book two is more of a horror, but again a lot of it is left to the imagination. Caddie is terrifying, but she doesn’t actually do all that much to anyone when you think about it. It’s the threat of what she might do that makes her so terrifying. I have to admit, though, I was surprised that one scene in particular in The Crowmaster got through unscathed. It’s the scene in Marion’s bedroom. If you’ve read the book you’ll know the one I mean. I fully expected some cuts to that, but nope. I’m not really a fan of ‘straight’ horror, because I don’t find most of it scary. I think children’s horror is actually leading the way at the moment, though, outshining pretty much every adult horror novelist currently out there. There are obvious big names – Darren Shan being the most famous by a long way – but there are some real stars to watch out for, too. William Hussey, David Gatward, Sam Enthoven to name a few. I’ve heard great things about Will Hill’s DEPARTMENT 19, but haven’t had a chance to read it yet, so I’ll have to wait and see. I really enjoy comedy horror, so Skulduggery Pleasant is a favourite. My son really enjoys Tommy Donbavand’s Scream Street books, which are horror for 7-9 year olds. They’re scary enough for the age group, but with plenty of humour for the adults reading along, too. I recently read LET THE RIGHT ONE IN by John Ajvide Lindqvist and really enjoyed it. Did I find it scary, though? No. Do you have any favourite horror films? Again, I don’t find many horror films scary. I enjoy some of the older classics – the Christopher Lee Draculas, Dawn of the Dead, The Shining, and the like – but most modern horror movies leave me a bit “meh”. If I really want to scare myself, though, I’ll put on Fire Walk With Me, the prequel to David Lynch’s brilliant Twin Peaks TV series. The moment Bob appears on screen I swear I stop breathing, and don’t start again until the credits roll at the end. A masterclass in surreal horror. I didn’t really set out to write for children and teenagers, I set out to write the type of stories I’d like to read. Clearly I have quite juvenile tastes, because everything I’ve come up with so far has translated well to children’s books. At the age groups I’m writing for the language used is more or less on a level with that in mainstream blockbuster adult novels, so it’s not like I had to dumb anything down to write for children. It’s really just about finding stories that will appeal to each age group, and I’ve been lucking with Invisible Fiends in finding something that seems to appeal to a broad range of ages. I do read a lot of books for younger people. I find they are usually bolder, more inventive, and just more fun than adult books. That’s not to say I don’t read books for grown-ups, too, but if I’m honest I probably enjoy the children’s/YA stuff more. Between the ages of about 6 and 9 I read almost exclusively comic books. British comics – The Beano, The Dandy, 2000AD and the like – but more of the mainstream American stuff from Marvel and DC. I actually think this helped shape my writing style – the supervillain-esque baddies in Invisible Fiends; the punchy dialogue; the slightly... um... off-kilter world of The 13th Horseman – it’s all down to reading so many comics. When I hit about 9 or 10 I expanded my horizons, but skipped over reading kids books in favour of things like Hitchhiker’s Guide and Terry Pratchett’s Discworld series. The humour in those books really appealed to me, and I’ve absorbed some of that into my own writing, too. I have to say, I think children’s writing is going through a real Golden Age at the moment. The stuff being published at the moment is much better than I remember there being available when I was in school. That’s why I didn’t bother to read any of it. And I think publishers are still willing to take risks with children’s fiction, which they might not be comfortable doing with adult novels. That’s why there’s such a range of great books available for kids, covering pretty much everything under the sun. They’re spoiled for choice, and that can only be a good thing. OK, let’s establish some ground rules first. I’m assuming that if I invite someone who is dead they’re not going to turn up as a zombie and devour my other guests? Let’s work on the basis that they’ll be alive. In fact, let’s say I have a time machine which allows me to nip back in time and pluck people out of history so I can take them round my house for a bite to eat and some chat, before returning them to their own time. So, with that in mind, my first dinner party guest might seem an unusual choice. I’d invite Hitler. Specifically, I’d invite Hitler from 1938, just before he was declared TIME magazine’s Man of the Year. I’ll explain why in a moment. My next guest would be Bill Murray. Why? Because he’s Bill Murray. He’s in Ghostbusters. He’s in Groundhog Day. He’s in Scrooged. Have you seen his cameo in Zombieland? On the strength of that cameo alone, he should be invited to every dinner party ever held. Ever. You’d think I’d have some authors on this list, but the thing with authors is that so many of them are socially inept. Me in particular. I can’t see the banter flowing particularly freely with a room full of authors, so I’m not going to have any on my list. Mind you, I’d quite like to meet Stan Lee, creator of Spider-Man, the Hulk and countless other comic book characters, but I suspect he might get quite tiring after a while, and I’d be regretting inviting him by the time we were onto the main course. Stephen Fry would probably be the ultimate dinner party guest, but A) he’s an author, and B) he’s several hundred times more intelligent than I am. I reckon I could just about hold my own in conversation with Bill Murray and Hitler, but with Stephen Fry in the room I’d come across like some kind of gibbering ape-man, barely capable of stringing words together to form sentences. That’d do nothing for my ego, that. So, taking all that into account, I’d probably invite Warwick Davies, the pint-sized star of Willow and The Leprechaun movies. No real reason, other than that I always think he seems like a nice bloke. And I don’t imagine he’d each very much. I’m fairly confident that between me, Bill Murray and Warwick Davies, we could talk some sense into 1938 Hitler before he started killing and invading everyone. Try to steer him away from the mass-murder and into something less destructive. Latin American dance, maybe. Or ornithology. Failing that, Warwick Davies could crouch behind him at the top of some stone steps, then I could push him down them. Meanwhile, Bill Murray could be out in the back garden, digging a hole in his inimitable sardonic way. Maybe I’ve overthought this a bit. Let’s move on. I know The Crowmaster has only just been published, but is there anything you can tell us about the next book in the series, Doc Mortis? It’s definitely scarier than the first three books, but it’s got a bit more depth to it, too. In fact, I think some readers may even have a few tears in their eyes by the end of it. It introduces a new ‘good’ character, too, who was a lot of fun to write. But you’ll have to wait until the book is published in August 2011 to find out more about him/her/it. Never ask me to organise a dinner party. Huge thanks to Barry for taking the time to provide such lengthy and interesting answers to these questions - if you can squeeze an extra seat at your table I would definitely like to be at that dinner party! The Crowmaster is available to buy right now and my thanks got to Harper Collins for sending me a copy and helping to organise the interview.